These Special Edition Coins are to celebrate Alabama’s 50 years of making music. These 50 1 ounce gold and 500 1 ounce silver are all that will ever be minted. Call The Alabama Fan Club @ 256-845-1646 to reserve your coins now with a 50% down payment with the balance due when the coins arrive at the Fan Club. 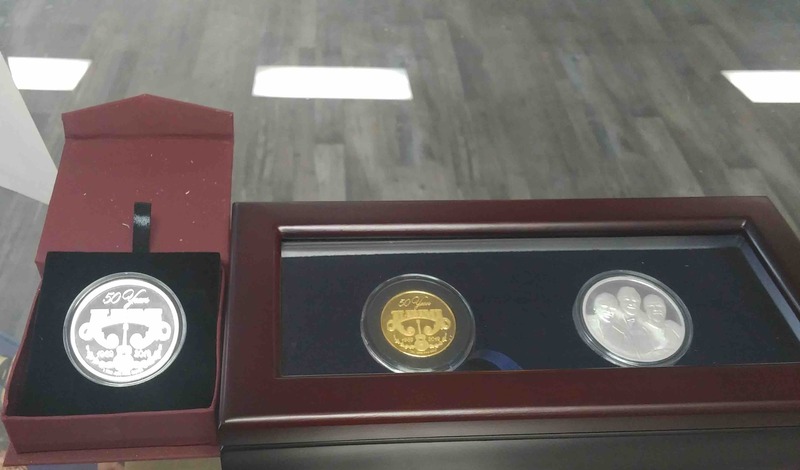 The 2 Coin set (Gold & Silver) is $2000.00 and the Silver alone is $100.00. These are being offered to our Fan Club Members for the remainder of 2018. Orders received by November 1, 2018 will be delivered before Christmas 2018. Call the Fan Club for more information.